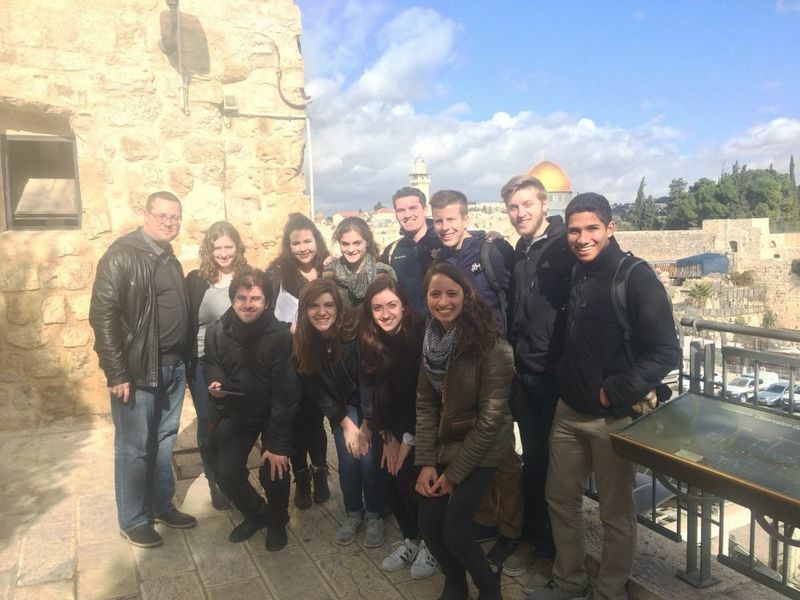 We take a closer look at this two-part course taught by Vittorio Montemaggi in Fall 2016, which saw our students venture as far as Jerusalem. Vittorio Montemaggi taught ‘Literature and Inter-Religious Understanding’ at the London Global Gateway in Fall 2016. Focusing on the history of relations between Judaism and Christianity, the two-part course saw students connect the skills required for literary interpretation and the virtues appropriate for inter-religious dialogue. Both classes included a significant travel component, bringing to life the study of texts including Scripture, Dante’s Commedia, Shakespeare’s The Merchant of Venice, and Primo Levi’s If This Is A Man. The second part of ‘Literature and Inter-Religious Understanding’ took place at the Jerusalem Global Gateway in the week after finals, funded by Notre Dame International and the College of Arts and Letters. As well as considering relations between Jews and Christians, ‘Literature and Inter-Religious Understanding II’ explored Islamic religion, culture, and history. The week-long course provided students with a challenging and inspiring set of experiences and perspectives, deepening their understanding of interconnections between the three Abrahamic faiths and their significance in today’s world. With its impressive itinerary and connections with three Global Gateways (London, Rome, Jerusalem), ‘Literature and Inter-Religious Understanding’ exemplifies Notre Dame’s international presence and the scope of its offering to students. Read more about Notre Dame’s study abroad opportunities in London and beyond. Originally published by Rina Buznea at international.nd.edu on February 14, 2017.